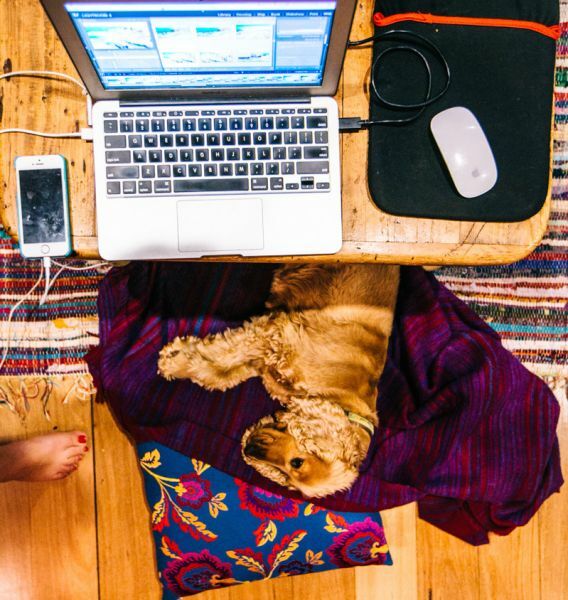 If you're fortunate enough to be able to work remotely, you've got a leg up on other house-sitters. In my experience, home-owners love having a sitter who will be home during the day to keep their pets company, and much prefer that to having a sitter who will be out all day working their office job or exploring the area. 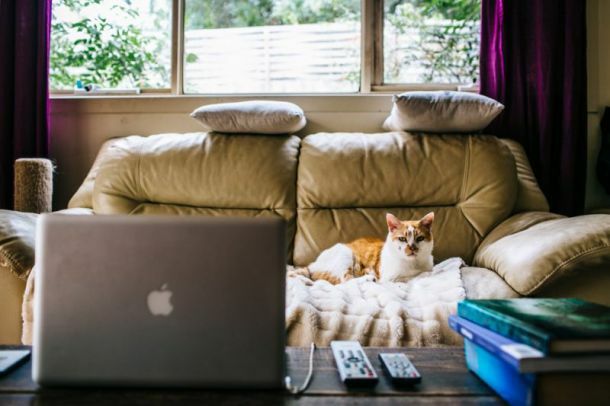 Here are a few tips for turning your new home into a remote office so that you can work effectively while being around to look after the pets. First and foremost, if you intend to work while house sitting, then Wi-Fi is going to be pretty important. You might not want to lay out a laundry list of internet-related requirements when you send your initial message to a home-owner, but you do want to make it clear that you will be needing a Wi-Fi connection. I like to weave a line like this into my inquiry: “I’d spend most of the time working from home and showering your pets with lots of attention - all I’d need is Wi-Fi!.” This way you won’t be wasting your time or theirs in the unlikely scenario that they don’t have an internet connection. After you’ve established that the house you’re interested in does have Wi-Fi, you might want to find out whether it’s fast, reliable, and unlimited bandwidth, depending on how important these variables are to you getting your work done. I prefer to save this for when I’m interviewing with the owners (either at their house or over Skype) and they ask at the end if I have any other questions. Remember, your top concern should be their pets, so try not to focus too much on how well-equipped their house is. One of the best things about the ability to work remotely is that you don’t have to spend your days stuck in the same cubicle. So why would you want to spend all day working in one spot at your house sit? The desk - Sometimes just the act of sitting at a proper desk is enough to make you focus more on the task at hand. 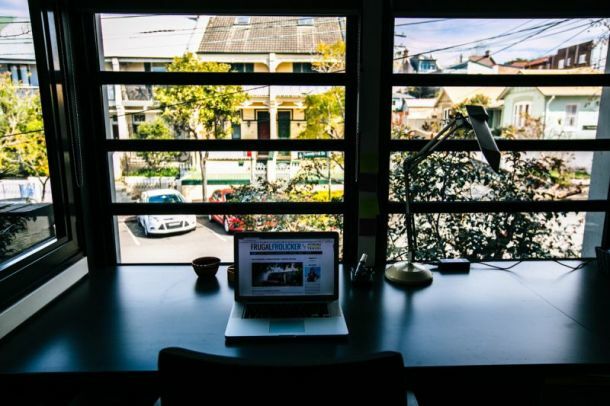 If the house has a desk set up in one of the rooms, consider using it when you have a looming deadline or feel like a quiet, contained workspace is what you need to get your work done. The kitchen counter - If you need to get the blood flowing again after sitting down for too long, the kitchen counter makes for an excellent standing desk. The couch - This works well if you can prop your laptop (or your feet!) up on a table in front of the couch. I wouldn’t recommend working from the couch if your work requires a lot of mental concentration, but if you’re doing something like editing photos then this setup is comfortable. Not every house is blessed with outdoor space, but if the house you're sitting has it then you should definitely take advantage and work outside in the fresh air. I've worked al fresco on front porches, back patios, balconies, courtyards, and picnic tables at various house sits. 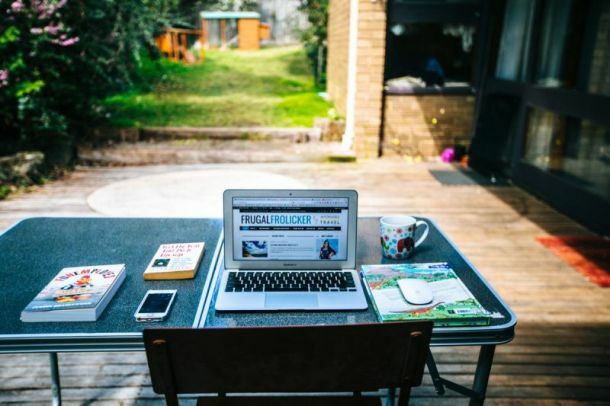 Working outdoors can be tricky when you're using a laptop in bright sunlight, so it's best to plan your outdoor work sessions around the angle and intensity of the sun. Working from an east-facing balcony? Save your outdoor work sessions for the afternoon. Cloudy day? Make the most of the dimmer lighting and maximize your outdoor work time while the sun isn't out to bother you. Better yet, if you have any work that can be done without a laptop (reading or note taking, for example), take that outside and save the computer work for indoors. And if the house you're sitting doesn't have a table set up outside, there's a reasonable chance that you'll find a folding table or other small table in the house that you can bring outdoors to work on. 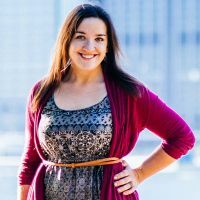 Lindsay Buckley is an American travel blogger and photographer who left the corporate world in New York City behind in 2014 and became a digital nomad in the Asia-Pacific region. She now calls Australia home and has completed numerous house sits, hikes, and beach trips across the country. Lindsay blogs about her outdoor travel adventures and digital nomad lifestyle on Frugal Frolicker.